The AUDS counter-drone system has been enhanced for deployment on semi-portable containers and on a range of military and commercial vehicles for quick deployment to provide protection against malicious drones. AUDS engineers have also developed a novel technique to more effectively defeat co-ordinated swarm attacks made up of mixed drone types, including long-range winged drones. The AUDS system was developed in 2015 by a consortium of UK defence companies including Blighter Surveillance Systems, Chess Dynamics and Enterprise Control Systems. 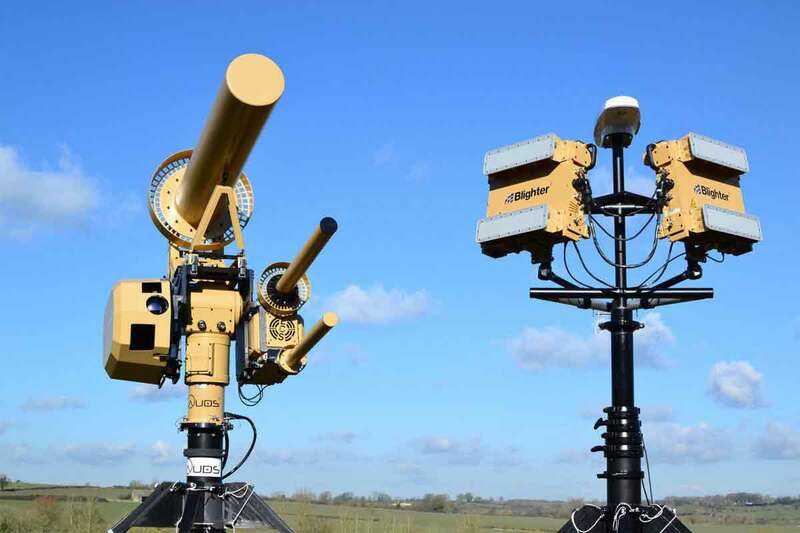 It is operated by a single user, and can reportedly detect, track, identify and defeat a drone in approximately 15 seconds at a range of up to 10 km or six miles. AUDS on a vehicle delivers a rapid “on-the-pause” counter-UAV capability against drones attacking a temporary base, mobile force, convoy or a national infrastructure site. 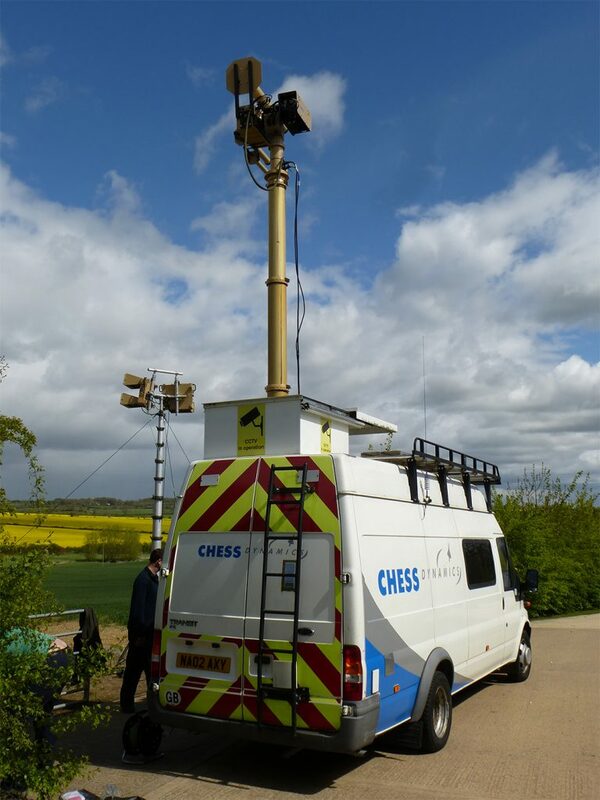 The system has been optimised and further ruggedised for deployment on either military trucks or commercial surveillance vehicles, such as a converted Mercedes-Benz Sprinter-style van, as well as on semi-portable containers. AUDS is already available in three standard configurations—a portable platform for rooftop installation, a rugged field-mast system for forward operating bases or temporary camps, and a fixed system for borders and critical infrastructure sites. The team behind AUDS recognise that co-ordinated swarm attacks are increasing—particularly in the military sector—so its engineers have been working on algorithms and techniques to improving AUDS’ ability to defeat multi-drone attack scenarios. “We have continued to refine our advanced radio frequency (RF) inhibition capabilities to meet identified changes in the threat, enabling additional attributes designed to engage with some of the longer range fixed winged drones that have appeared over the last 12 months,” said Colin Bullock, CEO of Enterprise Control Systems. The AUDS system is said to be highly effective against multi-mode drone swarm attacks due to its multi-band radio frequency (RF) inhibitor, which can simultaneously target multiple threat ‘bands’ to defeat the command and control (C2) links deployed on UAVs. These C2 links are constantly evolving within the emerging threat landscape and the AUDS RF inhibition system continues to demonstrate its flexibility to rapidly address these changes in response to operational demands. How AUDS works? AUDS detects a drone using an electronic scanning micro-Doppler radar, tracks it using a precision controlled infrared and daylight camera system incorporating advanced video tracking software, before using a non-kinetic radio frequency (RF) inhibitor to defeat the drone. Using AUDS, the operator can disrupt the function of a drone enforcing an invisible impenetrable barrier. AUDS is positioned at the strategic end of the UAS countermeasures market for use by government agencies, the police and military to protect high-value critical national infrastructure and personnel or strategically important sites/events. These include nuclear power stations, borders, political, sporting or VIP events, airports and airbases. The worldwide market for counter-drone technology is expected to grow from $342.6 million in 2016 to $1.5 billion by 2023, according to a July 2017 research report from research firm, Market and Markets. Non-kinetic electronic systems, like the AUDS system, are estimated to grow at the highest rate (CAGR of 30.9%) during the forecast period. However, manufacturers of other counter-drone systems say that traditional scanning radar technology is not well suited to detecting smaller drones. SUBSCRIBE to our magazine to find out how a 100-year-old concept, scanning radar, could provide the answer to countering small unmanned aerial vehicles.